‘Sit’ and ‘Come’ are popular choices. 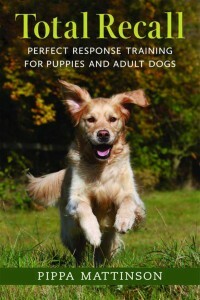 But hand targeting dog training can be a great choice too. 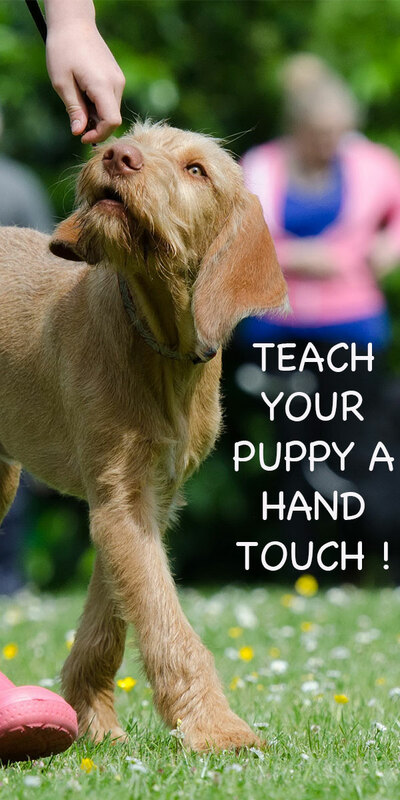 Teaching your dog to touch your hand with his nose is a good foundation skill for him and for you. Learning to touch your hand with the tip of his nose helps you develop your training skills and strengthens the relationship between the two of you. A hand touch is also a useful component of a finished retrieve, and makes a nice tidy finish to your recall. You can teach this to even the smallest puppy without any pressure or excitement, you’ll find a video below of Cocker puppy Finn learning to touch my hand. It’s a great way to spend a few minutes a day with your dog. [wp_ad_camp_2]You will essentially be using your hand as a target. Because the shape of your hand when you present it will be a cue for your dog, it needs to be clear and unambiguous. 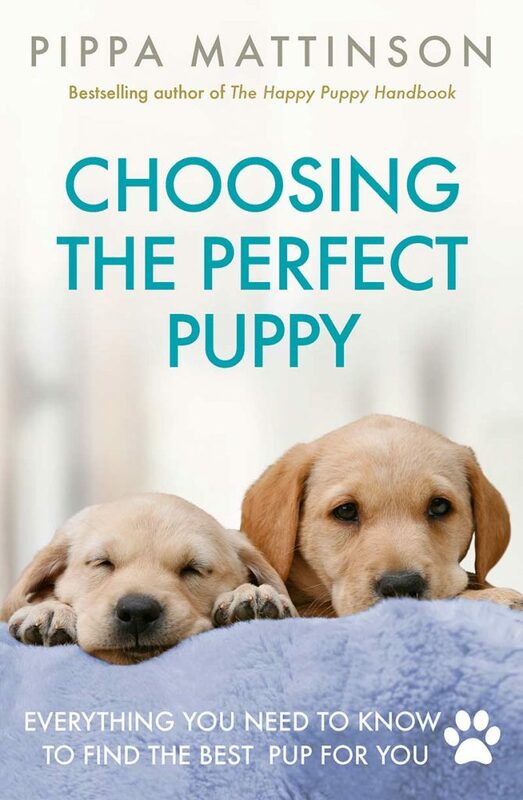 So, your hand should be held out flat, fingers together, palm facing the dog. You’ll be holding it out for a second or two, closing and withdrawing the hand in between repetitions. You’ll need to use an event marker to let the dog know exactly what it is you want him to do. In the video below I use a clicker, but you can use a word like YES or GOOD if you prefer. You’ll be marking the exact moment the dog does what you want him to do, and following that mark with an edible reward. Many dogs will automatically look at and even poke, your hand if you hold it out to them. But if your dog doesn’t do this, don’t worry. All you need to do is put a little smear of something tasty in the centre of your palm to attract your dog’s interest. Have some treats to hand in a pot or in a bag attached to your waist. If you are using a clicker, hold some treats in your clicker hand. And use the other hand as a target. If your dog shows no interest in touching your hand when you first present it to him, just rub a tiny piece of cheese or peanut butter on to a small area the size of a 20p piece, in the centre of your palm. It may help if you practice presenting the palm of your hand clearly in a mirror before involving your dog. Make a loose fist, then smartly open your hand nice and flat with fingers together, then make a loose fist again. Practice switching neatly between fist and palm to make a clear, unambiguous signal. When you are ready fetch your dog. Have your target hand balled lightly in a fist. Be ready to present your target, and to ‘mark’ the moment the dog moves towards your hand. With your clicker or marker word, ‘mark’ the exact moment that the dog moves his nose towards your palm. Don’t wait for him to actually touch it. With your clicker or marker word, ‘mark’ the exact moment that the dog touches your palm. What if he doesn’t touch when you increase the distance? Simply remove your hand. There is no reward this time. Next time make it easier by holding your hand a bit closer. TIP check you are keeping your palm still and not moving it towards the dog. It is tempting to inadvertently teach him that you are the one doing the moving. When your dog presses his nose to your hand each time you present your it, the next step is to try holding your hand in different positions. Sometimes to the right of the dog, sometimes to his left, sometimes above, so he has to lift and move his head around in order to make contact with your palm. Finally you can try the exercise in different locations, and even introduce a few distractions. Start with different rooms in the house, then try it in the garden etc. If your dog struggles in new locations make the exercise easier again. 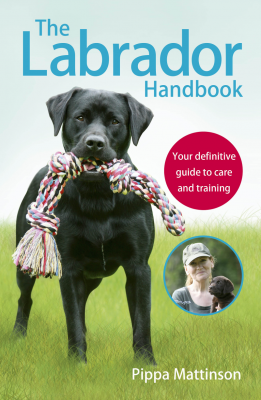 Later when taking a dog in to more challenging environments, asking for a simple hand touch, can be a useful starting point to get your dog working with you amongst distractions. Start him off with a few simple distractions around the house. Ask for a hand touch when there is someone else in the room. Get him to touch your hand for different types of reward. Before you open the door for him to go into the garden, before you give him his dinner, before you throw his ball. The video below shows a four month old puppy just starting to learn how to target my hand. 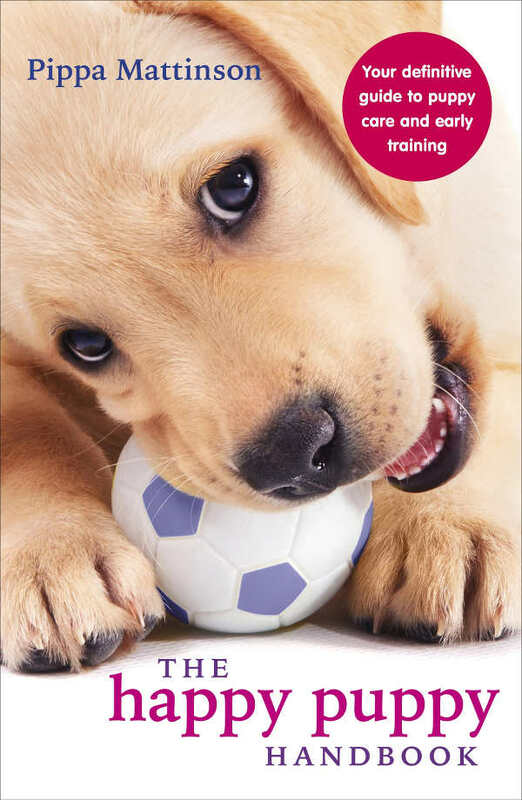 But you can do this training with a dog of any age, from 8 weeks right up to old age. Have a look at the video now, and see if you think this is something you’d like to try with your dog. Have fun with the hand touch and let us know how you get on in the comments box below? Been doing this with my four year old lab with success! Pippa, how do I increase the duration his nose is on my hand for?